A powerful House committee now led by Democrats is opening an investigation into how security clearances have been handled in President Donald Trump's White House and 2016 presidential transition. The inquiry by the House Oversight and Reform Committee, announced Wednesday, takes direct aim at some of those closest to the president over the past two years, including former national security adviser Michael Flynn, Trump son-in-law and senior adviser Jared Kushner and former White House aide Rob Porter. The review also sets up one of the first potential fights between a Democrat-led House committee and a White House bracing for a number of investigations in the wake of last year's midterm elections that eroded GOP control in Washington. Rep. Elijah Cummings of Maryland, the committee chairman, said in a letter to the White House that he was undertaking the investigation in response to "grave breaches of national security at the highest level of the Trump administration" involving Flynn and others. Cummings said his committee is looking to scrutinize how the White House and transition team safeguarded classified information and "evaluate the extent to which the nation's most highly guarded secrets were provided to officials who should not have had access to them." 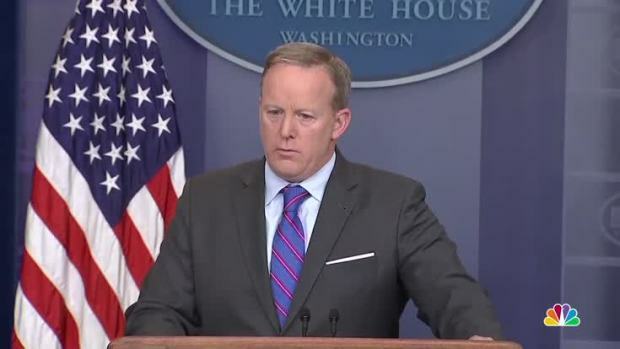 White House press secretary Sean Spicer blamed former President Barack Obama for Michael Flynn's renewed federal security clearance at a Monday press conference. He said the Obama administration gave Flynn the highest level of clearance and they allowed Flynn to travel to Russia for a paid speaking event. The White House didn't immediately respond to a request for comment. Flynn attorney Robert Kelner declined comment. A lawyer for Kushner referred questions to the White House. Flynn maintained his security clearance— and access to highly sensitive information— even after the White House learned he lied to the FBI about his conversations with Russia's ambassador. Flynn, a retired three-star Army general and former director of the Defense Intelligence Agency, was appointed as national security adviser while he was under investigation for failing to register as a foreign agent for previous work benefiting the Turkish government. Flynn, who pleaded guilty to a felony and is awaiting sentencing, has been a key cooperator in special counsel Robert Mueller's investigation of whether Trump associates coordinated with Russian election interference. In addition to scrutinizing Flynn, the committee also is seeking information about Kushner, who failed to initially disclose some of his foreign meetings, and Porter, who had high level access with an interim security clearance even though the FBI repeatedly told the White House of past allegations of domestic violence lodged against him by two ex-wives. Porter resigned in the wake of the allegations becoming public. The White House's handling of Porter's case drew scrutiny of the Trump administration's security clearance process and how many officials were allowed to have access to classified information while their background checks were pending. FBI background checks for security clearances routinely examine an applicant's financial holdings, foreign contacts and any past derogatory information or acts. After Porter's resignation, then-presidential chief of staff John Kelly said the White House did not "cover ourselves in glory" in how it handled the allegations. Kelly also cut off access to some classified information for officials who had been working on interim clearances for more than nine months at the time. President Trump was asked to address interim security clearance for White House staff members after Rob Porter and Jared Kushner security clearances were scrutinized during a joint press conference with Australian Prime Minister Malcom. Trump said that he will leave that decision up to chief of staff Gen. John Kelly. That move resulted in Kushner having his access downgraded, though it was restored last May after the completion of his background check. 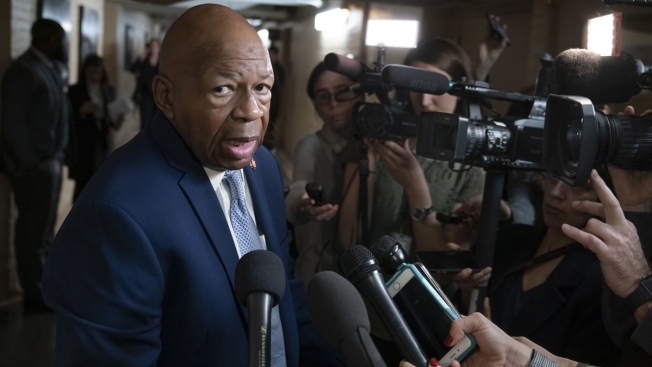 In addition to investigating specific security clearances granted to White House officials, Cummings is asking the White House to explain why it has failed to provide Congress with information about its security clearance process as required by a law passed last year. The law required the White House to provide Congress a report on its security clearance procedures by last August.